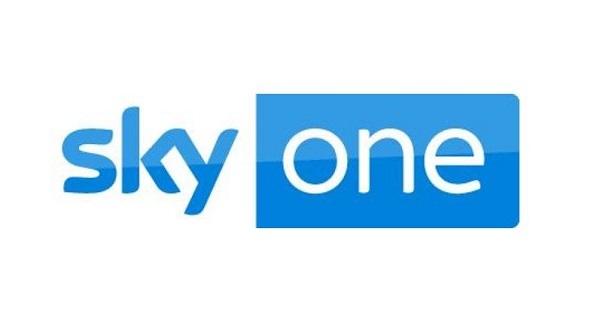 It was announced that, after a successful pilot, Sky One have commissioned Avalon to make an 8x30 minute topical series titled, Comedians Watching Football With Friends. Thanks to Sky’s unique relationship with the Premier League, this new Sky original production will see comedians, and friends, watch two of the big televised weekend matches while they offer sofa-situated analysis and generally chew the fat. Each game will be recorded in two sitting room style studios simultaneously, reflecting what’s going on in living rooms up and down the country; with a live audience of partisan fans oohing, ahhing and laughing along, while two comedians and one celebrity super-fan offer their thoughts on the game, or anything else, as the action unfolds. Regulars on the series will include: Nish Kumar (Manchester United), Jon Richardson (Leeds United), Emily Dean (Arsenal), Tom Davis (West Ham United), Matt Forde (Nottingham Forest), Joe Wilkinson (Gillingham), Lee Mack (Blackburn Rovers), Josh Widdicombe (Plymouth Argyle), Adrian Chiles (West Bromwich Albion) and Iain Stirling (Liverpool). Commissioned by Phil Edgar Jones and Bill Hobbins for Sky One, Comedians Watching Football With Friends is a Sky original made by Avalon. Series Producer is Danny Carr (Have I Got News For You, The Mash Report), the series will be directed by Peter Orton (Russell Howard’s Good News) and Paul Wheeler (Have I Got News For You), while Executive Producers are Rob Aslett, Andy Devonshire, Jon Thoday and Richard Allen Turner. In 2018, Avalon was again named the number one true independent television production company in the UK and has produced numerous ground-breaking television shows including: Emmy and Peabody award winner Last Week Tonight with John Oliver (HBO), multi-award winning and Emmy-nominated Catastrophe (Channel 4/Amazon Original), RTS and Rose d’Or winning Not Going Out (the BBC’s longest running sitcom currently on air), BAFTA and RTS-nominated Taskmaster (DAVE/UKTV), multi-BAFTA award winning TV Burp (ITV1), Russell Howard’s Good News (BBC2), Fantasy Football League (BBC/ITV) and Workaholics (Comedy Central USA). Avalon and Topical Television form the television arm of the company and other shows in production include: Breeders (FX/Sky) co-created by Academy Award-nominee and double Emmy Award-winner Simon Blackwell, double Emmy Award and Directors Guild of America-winner Chris Addison and Emmy and BAFTA winning Martin Freeman; The Russell Howard Hour (Sky One), the most successful new entertainment series to launch on the channel since 2010; Why Does Everyone Hate The English? (History); Stand Up Central with Rob Delaney (Comedy Central UK) and Russell Howard & Mum: Road Trip (Comedy Central UK). The catalogue is sold worldwide by Avalon Distribution. For Avalon news visit: www.avalonuk.com/press or @avalonent.